^^^ I feel the need to point out how awesome that rhyme was. I thought, somehow, he had gotten a house into orbit or outer space. Any specific drug/herb/whatever advertisements prompt this? 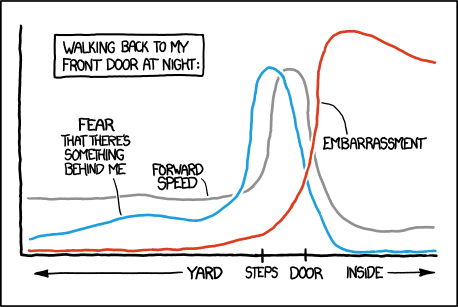 As far as the comic goes: the feeling doesn't go away when I enter my house. I become certain something somehow entered with me. Course, many of the kids who whine about learning math are also the ones who do whine about foreign language and fine arts (and school in general). What does the stud finder do when used inside a certain House? I'm trying to decide if your signature was altered specifically for this post or if I'm allowed to ask what House refers to. Re: Online High School Experiences? vodka.cobra wrote: Black Hat Guy needs to go back to callous, anonymous maliciousness. Preferably in psychologically damaging ways.